Guitar amplifiers can add appeal to your music. They enhance the volume and they can also alter the tone and frequency of the instrument — as well as add amazing electronic effects to it. The main task of an electronic amplifier is to amplify or enhance the electrical signals of an acoustic or electronic guitar and produce the resulting sound through a loudspeaker. This will give your music an expert and professional touch. The music produced by your guitar is first sent to a preamplifier that amplifies the voltage of your guitar signals. 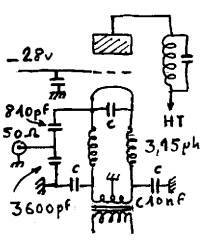 This is then sent to the power amplifier which amplifies the sound itself and then produces it through a loudspeaker. The toning step can come before the preamplifier stage or after it. It usually involves adding specific effects to your sound like chorus, reverb or distortion. 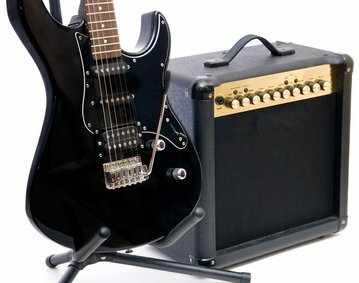 Many types of guitar amps are available in the market. Some of the main ones are mentioned below. Tube amps, also known as valve amps, get their name from the vacuum tubes that are used to make these amps. These big tubes are made of glass. The cylindrical tubes get hot and glow orange if they are used for an extended time period. The tube technology is now almost obsolete. This is because tube amps are more costly, they are heavier than other amps and require more maintenance as they tend to burn out quite frequently. Another factor that makes tube amps a difficult buy is that replacement parts for tube amps are not easily available in the market. In spite of the drawbacks, these valve amps have an exclusive design and are incomparable when it comes to producing energetic responsive tones for your music. If you have a limited budget, the solid-state amp is just the right thing for you. The best buy for budget-conscious people, these amps use printed circuit boards and transistors. One of the most popular guitar amplifiers, these are highly preferred by jazz guitarists as well as by blues, metal and rock musicians. The reason for their popularity is the clean sound that they are able to produce. Solid-state amps differ in terms of functionality, output power, size and price. The quality of the sound also differs in different solid-state amps. 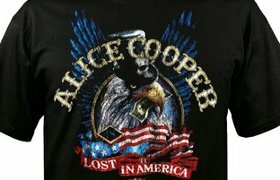 A wide variety of these amps are available in the market that range from practice amps to professional amplifier models. These amplifiers are usually lightweight, are reliable and consistent and offer a range of various effects and tones. A hybrid amp uses a combination of the tube technology as well as the solid-state circuitry. The preamp in a hybrid amp employs tube technology to create an initial sound while the solid-state circuitry is used by the power amp to operate the speakers. The method employed by hybrid amps enables the tube technology to produce the best possible sound effects. In comparison to other amps, digital-modeling amplifiers are lighter and less expensive. They do not have tube technology incorporated in them. Instead, they employ computer modeling to produce their sounds. Digital-modeling amps are extremely flexible and can produce a wide range of effects. These amps can easily and efficiently emulate the sounds produced by a tube-amp very convincingly. This is why the modeling technology is highly preferable as it can imitate most sounds, making it a good choice for many musicians. Now that you have a fair idea of the different types of amplifiers available in the market, you can choose the one that will best suit the kind of music you play and that will fit easily into your budget. Spot on with this write-up, I honestly feel this post is so detail and needs a lot more attention. I’ll probably be back again to read through more, thanks for the info!